This season offers a selection of four of our most popular titles in the series by our best-selling authors Mary Pipher, Alan Dershowitz, Dinesh D'Souza, and Christopher Hitchens. Ranging broadly in subject matter, these brief, intellectual primers to life and career will be the perfect gift for Dads and Grads--or a self-indulgent stimulating read for anyone who wants to experience the insights, wisdom, and advice of today's leading minds. he left the magazine on to serve as an advisor in Ronald Regan's White House. He joined the American Enterprise Institute in 1989 where he was the institute's John M. Olin fellow. He has appeared on several news shows as a political commentator such as: CNN, Glen Beck, and ABC's Nightline. 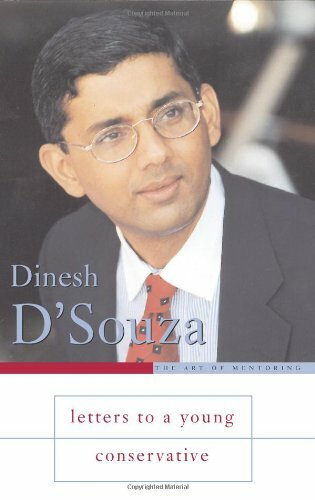 D'Souza's first book, Illiberal Education was published in 1991. Since then, he has written numerous bestselling political commentaries, including: America: Imagine a World Without Her, Obama's America: Unmaking the American Dream, Letters to a Young Conservative, and The End of Racism.